Azure Resource Manager allows you to deploy, manage, and monitor all of the resources for your solution as a group, rather than handling these resources individually. With Resource Manager, you can create a simple template (in JSON format) that defines deployment and configuration of your application. This template is known as a Resource Manager template and provides a declarative way to define deployment. By using a template, you can repeatedly deploy your application throughout the app lifecycle and have confidence your resources are deployed in a consistent state. 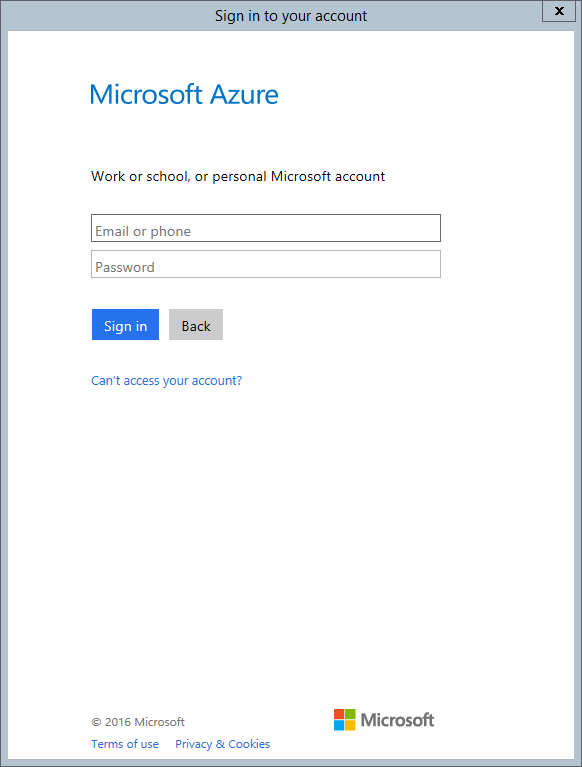 Before you can deploy a resource group using PowerShell, you have to login using the Login-AzureRmAccount command. This is ok if you are working with ARM on your local machine, but you don't want this behavior on your CI-Server for example. Luckily, the Login-AzureRmAccount command also accepts an -Credential parameter which is an object consisting of your username and password.